Mayo on a grilled cheese? It's worth a shot! 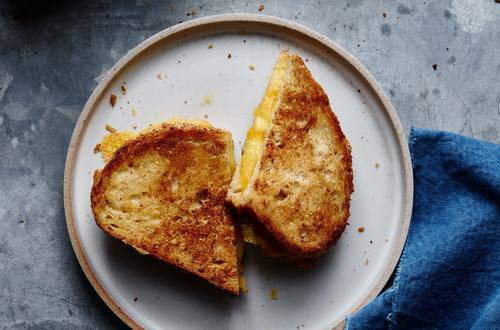 Try our Perfectly Crispy Grilled Cheese Strangewich and discover for yourself how our mayonnaise helps make the bread golden brown and extra crispy! 1 SPREAD one slice of bread with Hellmann's® or Best Foods® Real Mayonnaise. Place bread Mayonnaise-side-down into hot skillet; add cheese. 2 SPREAD other slice of bread with Mayonnaise and place Mayonnaise-side-up on top of cheese.